This is winning entrant Barry and his trainer Sue Twomey. Sponsored By OBIE foam Rollers and BodyCentral Clinical Massage Therapy this category is a great one for entrants who want to take up tight rope walking or who just want to not fall over when they stand on one leg. 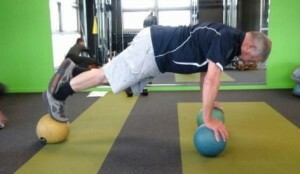 Barry who at 75 years young, trained twice weekly with his trainer to achieve wonderful results with his balance – not least of which is balancing on a bosu ball on 1 leg unaided! The female winner was Rachel Butcher and her trainer is PT Belinda Edmonston. Rachel came into the challenge with some injuries and not able to balance on each leg for any more than three or four seconds yet by the end of the challenge was able to do it for more than two minutes. 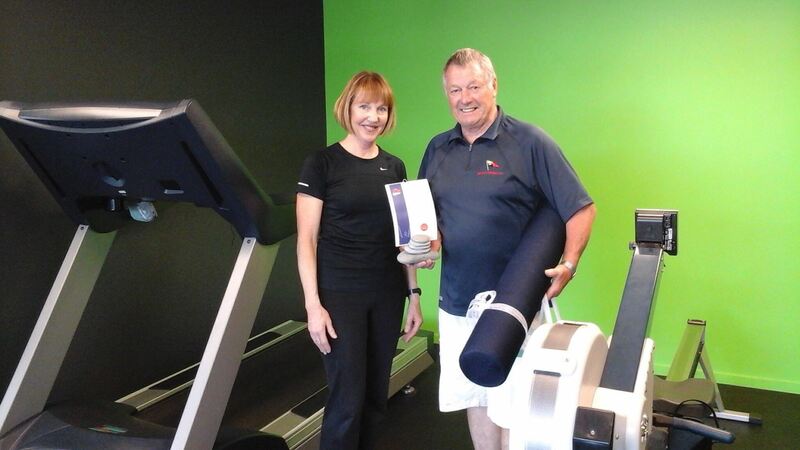 Her prize included and $800 training package with XBody New Zealandand a voucher with Flip Your Dog. And if you want a few reasons to enter the balance category yourself, check this out.